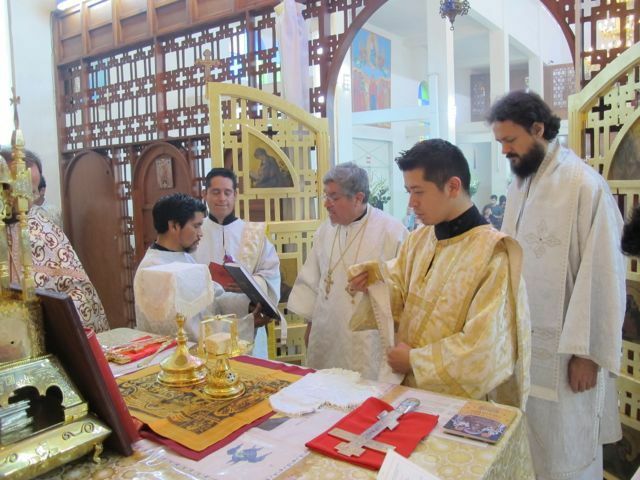 Mexico City, Mexico - His Grace Bishop Maxim of Western America made his first official and historical visit to the Orthodox faithful in Mexico April 26- 29, 2012, together with V. Rev. Blasko Paraklis. They arrived in Mexico City on Friday, April 26, 2012. The pastoral-episcopal responsibility of the bishop of Western America to the Serbian residents living in Mexico is expressed in the decisions of the Holy Assembly of Bishops.